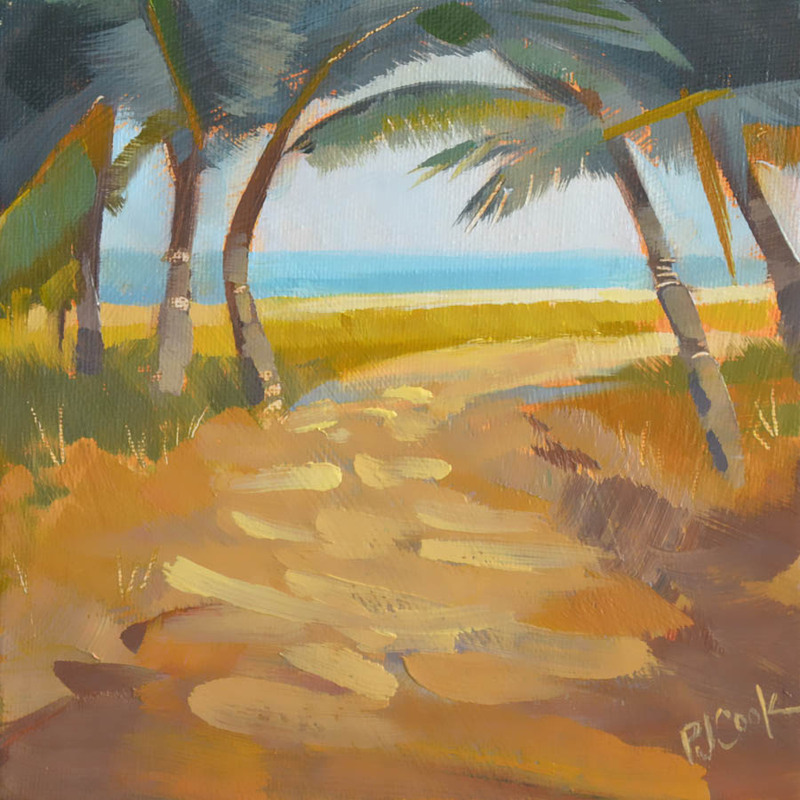 Palms Beach Path, 6×6 oil on canvas panel, ©2015 PJ Cook. Palms Beach Path artwork is a new hand painted oil and is an original painting featuring a beach path through the palm trees! This original oil is not a print but a one of a kind hand painted oil on panel. This original art is painted on 6 inch by 6 inch canvas panel. The scene inspiration is from a Pompano Beach path and is a common scene along the Florida coast. The palms canopy over the sandy path leading to the ocean. The painting is shipped same day or next day when payment is received so it will arrive quickly. All materials are professional quality and painted by an award winning professional artist with years of selling original artwork. Perfect to add to your art collection. Thank you for viewing and good luck bidding on this beach path Florida landscape oil painting. Painting auction ends Saturday night at 9 pm.